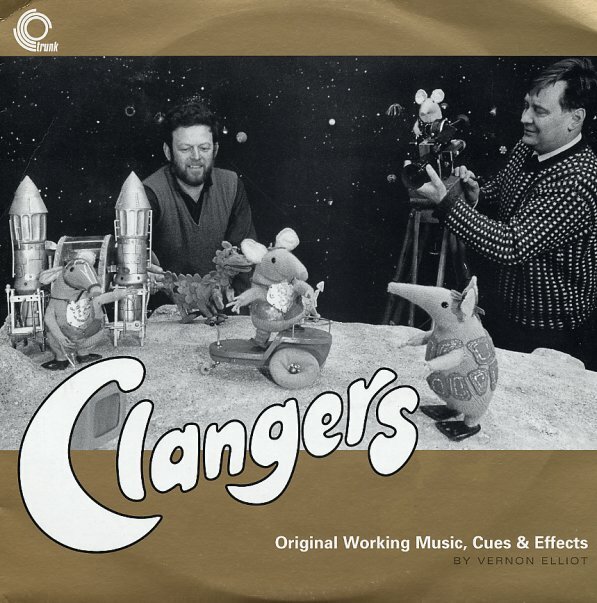 A delightful set of music, dialogue, and sound effects from a long-lost British children's show – the short-lived Clangers, which ran for 2 seasons in 1969 and 1971. The tunes are whimsical – often mixing percussion and flute in a playful mode that has traces of Tchaikovsky or Stravinsky, but which also sets things out in sparer, shorter segments. Interspersed with the tunes are spoken "cues" from the show, giving things a bit of a narrative feel, as well as occasional sound effects and other noises. The album features some good notes on the show and the music, and includes bits from the episodes "Music", "Fishing", "Treasure", "Goods", "Blow Fruit", and "The Seed". © 1996-2019, Dusty Groove, Inc.